RC Show brings you the Restaurant of the Future – an immersive restaurant activation designed by award-winning design studio Navigate in partnership with BUILD IT by Design that showcases how you can make sustainable decisions from all corners of your operation. Enjoy forward-thinking culinary creations from top chefs, sip on dynamic beverage options and experience an unparalleled guest experience. All furnishings will be produced using refurbished materials by leading commercial furniture maker Contract Supply and sustainable textile solution provider Architex. 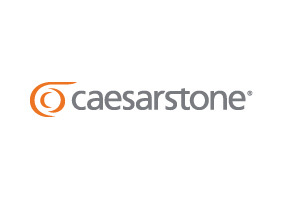 Our space will feature lighting by ANONY, stunning Caesarstone quartz countertops. 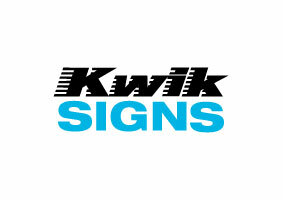 The millwork will be produced by Juiceworks and fabrication by Marble and Granite Stone Craft. Curated by André LaRivière, our activation will showcase how ENERGY STAR certified equipment, including Merrychef's high-speed ovens, Garland's induction cooktops, TRUE smart refrigeration systems and Urban Cultivator's indoor garden can help you save energy and money. Find out what's happening on the floor by hovering over the markers below. Learn about what's next in analytics, drone delivery, virtual cloud restaurants and how to leverage data to grow your business. Get tips and tricks on styling and photographing your dishes for Instagram and marketing materials. Learn how augmented reality menus will re-invent your menu, change how your customers order and how you will track your sales. Get insights on how to create engaging atmospheres with music and digital displays that keep customers coming back. Get a signed copy of The Next Course. Learn how to save energy, reduce waste and choose sustainable options. Find out how you can increase customer retention with loyalty programs and turn over tables 30% faster. Discover innovative ways to reduce waste and improve your bar's bottom line with Trash Tiki duo Kelsey Ramage and Iain Griffiths. Sample and learn about zero and low proof cocktails with Bittered Sling Bistro and Seedlip. Stop by for tasty treats and meet with clients in our cozy cafe space. Check out the full menu below! Sample bites from a line-up of top chefs made in our energy-efficient kitchen. Browse the full menu below! Start your experience off by checking in with our robot hosts and keep your eyes open for holograms hidden throughout the space. Learn how to streamline your guest experience and payment process with Silverware Clover, an all-in-one handheld device. Our curated line-up of chefs will be serving delicious bites that are flavour-packed and utilize sustainable, local and traceable ingredients. It's 5 o'clock somewhere! Stop by the bar to sample local wines, sustainable cocktails, and tasty suds. Need a quick fix? Enjoy plant-forward snacks at our cafe where you can refuel and meet with clients. Check out the latest tableware from Spirit China, glassware from Libby and innovative products, including studio50 hot/cold stone liquid containers, dishwasher-safe wooden cutting boards and the world’s best pans. 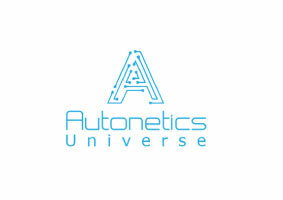 See the latest in hologram technology and experience the future of service as Autonetics Universe presents their programmable robots that can help seat guests, display menus, serve food and more! From food styling to augmented reality menus, get hands-on insights with our expert-led workshops. Learn how to enhance customer experience with data-driven delivery, music, loyalty programs and payment technology.